Do you want to be a colorist? In order to develop an expertise in any professional field one needs to acquire knowledge, a set of skills and experience. For the purpose of this project, we adopt the definition that COLOR DESIGN is the ability to solve color-related problems for the purpose of expression or betterment of life. Therefore, a colorist plays a major role in enhancing the aesthetic of "visual expressions" or solving everyday problems where color can play a major role. Most of the time, a visual designer also performs the role of the colorist. There are three main color design domains to be mastered by the colorist: Basic Color Design, Foundational Color Design and Applied Color Design. They range in complexity from perceptual to highly conceptual problem-solving skills. Color design requires a set of skills that starts with the development of the perception and ends with higher level thinking in the applied level. 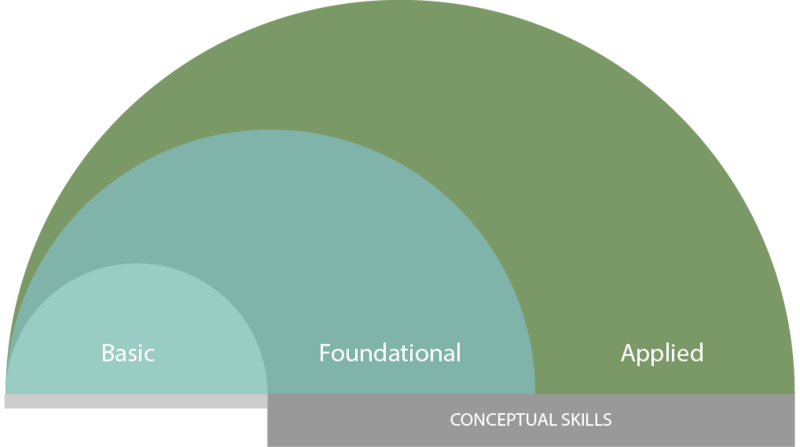 The development of Conceptual Skills, which are part of the Foundational and Applied Domains, builds upon the Basic (Fundamental) Domain. This continuum serves as a framework from which a computer-based pedagogical approach to teaching color design has been developed by Petronio Bendito. A fundamental aspect of developing color design skills is the understanding of a color system of order (e.g., Munsell Color Model, Ostwald Color Model, RGB color cube, etc.). Such understanding plays a major role in the acquisition of a color vocabulary, the understanding of color dimensions and color's topological relationships, which are fundamental to the development of the knowledge necessary to objectively solve color design problems. In this project the RGB|CMY Digital Color Atlas was adopted for the purpose of designing, teaching and learning. The RGB|CMY Digital Color Atlas and teaching method are based on three color systems of order: the RGB color cube and Ostwald's color model and the HSL color model. Other main references to the project include Michel Eugène Chevreul, Albert Henry Munsell, Johannes Itten, Josef Albers, Faber Birren and Shigenobu Kobayashi. Below is an introduction to each Color Design Domain (Basic, Foundational and Applied) and a list of fundamental color design concepts that an aspiring colorist should master to move from novice knowledge towards expertise. They are learned in conjunction with the RGB|CMY Digital Color Atlas. To sequence any set of colors based on hue, brightness and saturation relationships. To sequence and group individual colors or color palettes based on the Topological Perceptual Organization of colors such as light, dark, vivid, subdued, bright, and dull. To perform suitable color matching tasks within and across media and understand its limitations and implications. To recreate color palettes based on real-world examples (nature, art and design products) and identify dominant and subordinate color relationships. To describe individual colors or color palettes in relationship to color dimensions and topological relationships. To understand the mechanics of color interaction effects. The Foundational Color Design Domain operates mostly in the methodological design level. For example, it involves building color palettes based on various geometric color schemes or intended color connotation. To use the RGB|CMY Digital Color System as a basis for the interpretation, evaluation, and creation of color palettes for expression and utilitarian applications. 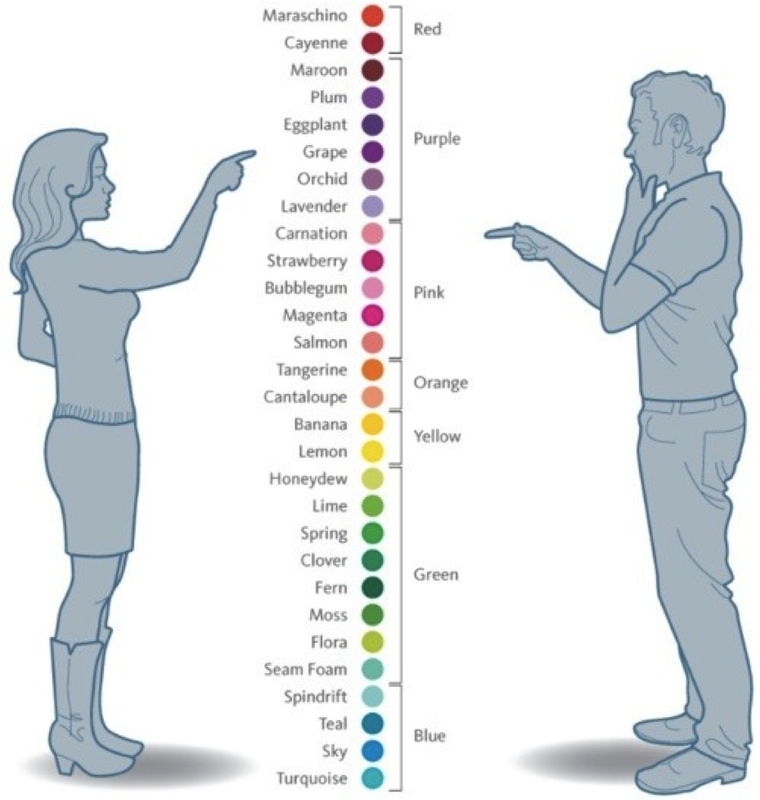 To describe color relationships in nature, art and design. To implement color design strategies to solve color design problems. To understand how color is generated in the computer and use this knowledge to create and apply color palettes around the limitations of hardware color output (i.e., RGB color is a hardware dependent color system: That is, its appearance shifts depending on the device). To identify connotations associated with individual colors and color palettes based on personal, cultural, historical, and marketing contexts (e.g., the color red in marketing, valentine, politics). To develop color palettes based on principles of color connotation tendencies. To conduct basic color design research and report findings. The ultimate Domain is one of application, of higher order thinking, creativity, and problem-solving. It builds upon previous domains of knowledge to solve real-world color design problems. The ability to apply Basic and Foundational skills to solve color design problems forms the basis of this domain. In the context of the learning process, it is acquired through simulations and internships. Note: The characterization of skills in the educational model described above started with Bendito's work on identifying levels of complexity of color design skills (from lower to higher) based on the current literature on color theory for art and designers. It was further motivated by issues raised in conversation about the qualifications of colorists with colleagues at the International Color Association Midterm Meeting in Zurich, Switzerland. In order to answer his own questions, Bendito found initial inspiration in Bloom's Taxonomy and Kobayashi's writings about color skills. Have a feedback? We look forward to hearing from you.